One would expect Wing Productions, a Manhattan-based event service that provides DJ services, videography, lighting, equipment rental and more, to be headed by a seasoned professional who has been in the entertainment industry for years. But the company’s innovation and quality of service comes from Landon Wingerson, the business’ founder and owner and a K-Stater. This spring, Wingerson was a junior studying entrepreneurship. He said he has been interested in entrepreneurship since he was a child. The turn toward music and DJ work, Wingerson said, came when he was in middle school. The DJ for one of the school’s dances pulled out of the event, and the school’s options were to find a replacement DJ or cancel the dance. “I stepped up and said, ‘Well, I can make a playlist on my iPod and we could use the school speakers,’” Wingerson said. After that first dance, Wingerson said he had a lot of fun as a DJ, and he was asked to DJ his school’s dances more often, enough that other local high schools started asking about his services. 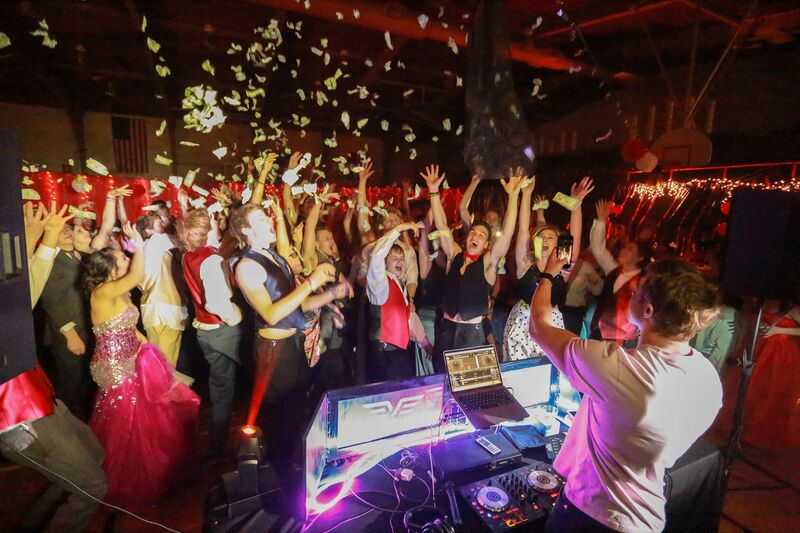 The shift toward a bona fide business happened when Wingerson was a senior at Smith Center High School in Smith Center, Kansas, when he said he realized he could make some money with a DJ service. A business teacher prompted him to start spreading the word about his business. Wingerson graduated from high school in 2015 and worked as the sole employee of WingerMix for two years, attending class at Kansas State and traveling to events across the state to DJ. Then, he said he wanted to do more. Wingerson said he had past experience with videography, and he looked at the other services that clients need for their events: photography, photo booths, lighting and more. His business expanded, and on March 13, 2017, WingerMix became Wing Productions, according to the company website. Running a business and attending college came with its struggles, and Wingerson said he is taking a year off from K-State. With about a year of coursework left to complete for his bachelor’s degree, Wingerson said he wants to finish his degree, but said putting the business he loves on hold would be difficult. In the meantime, Wingerson has some ideas for Wing Productions going forward. One challenge he said he faced as a student entrepreneur was being the only employee. Now, Wingerson said he has started hiring on more people so the company can book anywhere from two to five events on a single day. Another business prospect: planning Wing Production’s own events. A third goal, Wingerson said, would be to have a Wing Productions DJ opening for main artists at concerts. “I think that would be really cool to be a part of; you get some good social networking, meet some pretty high-up people with that, too,” Wingerson said. “It sounds hard and simple at the same time, but it’s risk,” Wingerson said. “That’s the whole thing with business is taking that jump, and if it doesn’t work out, it doesn’t work out.